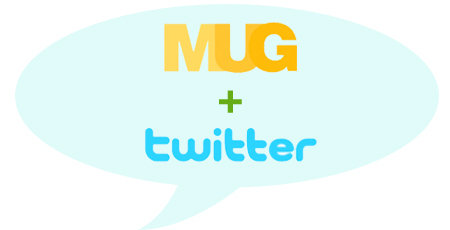 Starting today, you can follow a whole new side of MUG: we'll be supplementing our daily email with posts on Twitter. Our tweets, we hope, will bring you relevant news in real time about New York; we can share great finds as we find them, alert you to a compelling or breaking story, or have a conversation with you about life in the city. And as we do every month in our Hump Day emails, we'll occasionally feature a funny or interesting corner of the web. So that's the plan. We'll be listening to your comments and feedback, and we hope that this experiment will evolve into a useful component of MUG. Follow us on Twitter at https://twitter.com/MUGuide (@MUGuide).